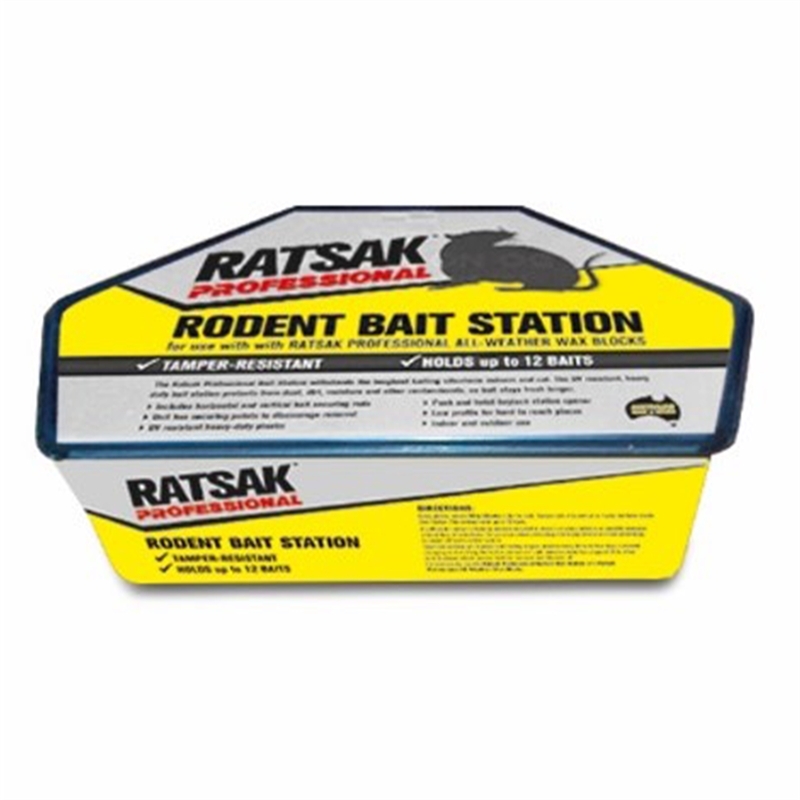 Ratsak Professional Rodent Bait Station, is a ready to use, tamper resistant heavy duty plastic station, which holds up to 12 weather resistant Ratsak wax block baits (or use with Ratsak Rapid Strike Advanced Dual Active Soft Bait), which is ideal for garages, sheds, roof cavities and under your house. The key lockable station, helps keep the bait away from pets and children. The station has securing points to assist locking it into the preferred location.